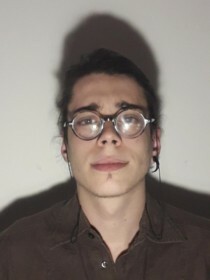 Hi, my name is Tomás Fidalgo, and I am looking forward to becoming an active investigator/researcher for BEAMS - the British Earth & Aerial Mysteries Society. A number of years ago something happened in my life that made me aware that there is a lot that we aren't being told. That event changed my life drastically, and since then, I began to try and understand what was happening behind the big veil which is shrouding the accurate publication of so many UFO and Paranormal experiences. In attempting to understand the deepness of this subject, my free time began to be fully devoted to investigating these matters of high urgency. It is of great importance that crucial information be made public, particularly following the vast amount of misinformation which has been deliberately spread about on the internet concerning our fields of study; the record must be set straight with the best evidence we can gather. It is really comforting to be able to reach out to those who share similar views and to know that are many other people out there, open minded enough to actually process information accurately. I am excited to be on board the BEAMS Team and I see a bright path where people like us are gathering, studying and disseminating evidence in order that the public is able to see the real truth, concerning what can at times, be a very strange world indeed.